Plan a well-balanced lesson in just 7 steps! 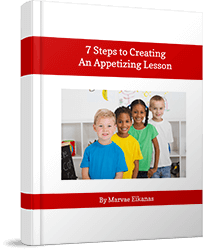 Sign up to receive our e-mail newsletter and get a copy of my FREE ebook, 7 Steps to Creating an Appetizing Lesson. The Building Blocks Learning Program appeals to a wide variety of learning styles and classroom settings. Our curriculum is Bible-based and non-denominational – you can check out our doctrinal statement here. 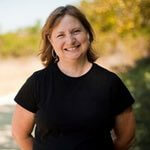 Our curriculum comes in preschool and elementary volumes that cover the same themes in age appropriate ways. Our curriculum can be used over and over again and follows a 3-year rotation – saving you money! Each lesson is brimming with choices that appeal to a wide variety of personalities and learning styles as well as teaching settings. Parents appreciate the simplicity of reinforcing the lessons at home using our Parent Sheets. 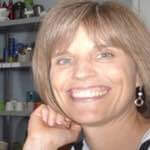 Weekly tips and tricks designed to help you lead your children’s ministry team well.